Your next major essay of the semester will deal with the works The Machine Stops and The Time Machine. Our classes on these two works have taken two angles of analysis: 1) examining the historical context for and allusions in each story, and 2) examining the extent to which each story’s futuristic visions have come true. Choose one of the two works we have read, and then reexamine it using one of the angles of analysis described above. Your goal is to offer some insights that go beyond what we covered in class, and you will conduct some research to assist you in achieving this goal. Essay topics A & B deal with a historical approach, while topic C deals with the accuracy of predictions about the future. Explain one or both works as a response to certain historical events and cultural issues in the nineteenth century. Consider the tremendous changes resulting from the Industrial Revolution and technological change. Or consider the implications of the many changes in the UNDERSTANDING of human life and society; here you would focus on the theories of Darwin and Marx. Your research will center on events and ideas from the past. Explain HOW and WHY Forster has created a “revision” of Wells’ novel. Start each body paragraph by summing up an aspect of/lesson in The Time Machine. Then finish the paragraph with an explanation of how and why Forster rewrites this aspect/lesson in The Machine Stops. This essay topic involves some historical research, but the emphasis will be on identifying parallels and revisions. Both works depict declines in human intellectual ability, and in The Machine Stops, this decline is specifically caused by technology. Choose one work and explain how its depictions of intellectual regression are accurate predictions of similar declines in our society today. Social class, family, work, and technology are possible subtopics here. For the next week, we will work primarily in the Media Center so that you can use laptops and speak with library staff as needed. If you want your teacher to read over an essay draft, schedule a meeting time well in advance!!! In all cases you will be searching for relevant information from published books, mainstream journals, and especially the resources found through our School’s databases. No Wikipedia here! 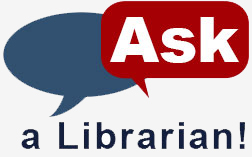 Our library instructors can offer further suggestions on research strategies and practices. A few general suggestions follow. If you are choosing the first approach, you might look for sources like a quality newspaper article on social practices and technology (try the NYT or the Wall Street Journal). You might also look for sources that resemble the writing by culture critic Malcolm Gladwell. Neil Postman and Bill McKibben are two media critics whose ideas might prove very useful for this topic. If you are choosing the second approach, you will look for historical texts and literary criticism. Your sources should be scholarly so that the material has been properly vetted. Here our media center databases will be most useful, as will a few web pages sponsored by reliable colleges and universities.